Is it a thing? Yes, it is. Establishing a good finger strength can help with everything from basic daily activities to advanced and more demanding physical pursuits. Fitness enthusiasts often forget to include finger strengthening exercise for their daily workout. Not only fitness enthusiasts, but even many athletes and bodybuilders also neglect to add finger strengthing exercises for their activities. Some doctors, therapists, and chiropractors often fail to emphasize the significance of finger strength. However, this is something that should not be neglected and must receive the same attention your biceps and triceps get. No matter what you do, to excel in around 99 percent of daily activities and occupations you need a good finger power. If you pay little or no attention to it, you will be prone to debilitating hand injuries even during the less demanding day to day work. Daily activities like typing, moving your computer mouse, doing laundry, driving and washing dishes demands a lot of finger power without us knowing. 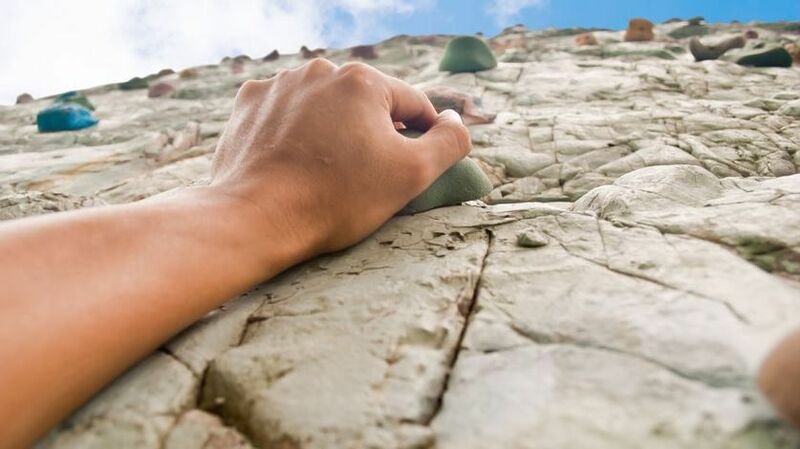 Nevertheless training your fingers are crucial for professionals like climbers, musicians, typists, martial artists, tennis players, golf players, etc. It is believed that the single most important thing for a climber is the finger strength despite the strength of back, legs and arms. Musicians, like pianists, guitarists, drummers, flutists, percussionists and other similar players solely depend on their finger strength for their practice. Strong fingers are considered essential for martial artists in both grappling and striking. The extra finger toughness you get from exercises can be a game changer during combat. Likewise, any profession demanding hand strength can be handled with ease by daily doing finger strengthening exercises. Knowing the basic anatomy of your finger is important in preventing hand injuries. Fingers are composed of bones, ligaments, and tendons. Each finger has three bones namely proximal, middle and distal phalanx though the thumb has no middle phalanx. It's important to know that there are no muscles in fingers and they simply work according to the ‘pulling’ action of forearm muscles conveyed through tendons attached to phalanxes. The knuckles are the junctions between finger bones and are commonly injured during injury to hand. Largest knuckles are located between hand and the fingers and are called ‘metacarpophalangeal joints’ (MCP). These are often injured during hand to hand combat causing the ‘boxer's fracture.' Next knuckle, (PIP joint) is between phalanxes and frequently injured during sports due to impact injuries. Farthest knuckle is prone to fracture or avulsion (torn tendon) injury. : With advancing age, structural changes in hands occur impairing the action of bones and ligaments. Bone density will gradually diminish making them brittle. There is also age-related degeneration of vascular and nervous supply to hand making things more serious. However, with regularly repeated finger strengthening exercises the rate of bone loss will be minimal, and movements will be less sluggish almost restoring the normal hand function. : ‘Osteo’ means bones and ‘porous’ means becoming porous. This is the most common kind of bone disease. During our life, both bone loss and bone reformation occur simultaneously. But with age, this equilibrium can be impaired causing more damage than formation hence causing brittle and weak bones. According to research, white senior women are the most likely to have osteoporosis. : Nutritional imbalance can deprive muscle strength causing weak finger power. Taking a balanced diet containing a broad range of vitamins and minerals coupled with exercise is a sure way to gain finger strength swiftly. Common deficiencies causing muscle weakness include iron, Vitamin B complex, Vitamin C and minerals like magnesium and potassium. : One of the most prevalent causes for weak fingers. When we don’t use our forearm muscles regularly, the protein bulk gradually depletes and replaced by fat tissue. Muscles will eventually become floppy, less bulky and stringy. Individuals having sedentary (inactive) lifestyles, bedridden patients and elderly are more vulnerable. However, this condition is reversible with regular hand exercises and can be done at any age with promising results. : Generalized muscle tiredness leading to finger weakness is frequent during pregnancy due to elevated circulating steroids. No treatment is needed as it is a normal physiological response. Nonetheless, they will also be benefitted by mild hand exercises. Do you know that mood disorders like anxiety and depression can significantly reduce our muscle power including finger strength? Studies have exhibited so. Daily exercises using a modified stress ball on a string like StringyBall will cleanse your negative thoughts and at the same time strengthen the fingers. The unique design of the patent pending StringyBall is ideal for amplifying finger strength. It's easy to maneuver as it is attached to you through an adjustable flexible cord. These color-coded balls come in three strengths that can be used according to the pressure needed. Regular and repetitive exercise using StringyBall will slow the age-related bone loss and contribute to bone gain. It improves the blood circulation in hand reducing senile (age-related) vascular degeneration providing proper oxygenation for forearm muscles thereby boosting finger power. Individuals having sedentary life style can be immensely benefitted through daily use as StringyBall can increase the muscle bulk, yielding more raw power. The stress-busting abilities of StringyBall stress ball can diminish the effects of anxiety and depression and stabilize the mental condition chiefly by diverting the attention. As we have discussed previously, mood disorders can reduce the muscle power drastically. StringyBall is a necessary tool for professionals like climbers, artists, and athletes and exercises should be incorporated into their daily workout. Nevertheless, it is vital to know that development of finger strength takes time and practice. When compared to muscles, the tendons take much time to gain strength, and you should not overdo and must give enough time to build strength otherwise you can be injured. So start by using a StringyBall with the softest firmness and gradually increase to the firmer stress balls. Daily practice will make will improve finger strength and dexterity.